Stephen Roberts does not fill prescriptions. Although he has a degree in pharmacy, you won’t find him in your neighborhood drugstore. Instead, this professor of toxicology is a pioneer in researching environmental toxins. Roberts and his colleagues were the first to show that some pesticides can influence the development of autoimmune diseases. This particular research was funded by a $12.8 million Superfund Basic Research Grant on which Roberts is a principal investigator. Roberts and a colleague at the University of Miami are also studying the role of heat shock proteins in defending cells against injury from various chemicals. He works extensively with the Florida Department of Environmental Protection to evaluate health risks associated with contaminants in the environment. In 1998, Roberts earned the Pfizer Award for Research Excellence, the highest research award in the College of Veterinary Medicine. Last year Roberts was appointed to join the seven-member FIFRA Scientific Advisory Panel to the U.S. Environmental Protection Agency, a prestigious group that handles some of the most complex issues in toxicology and risk assessment. 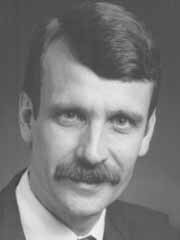 In 1990, Roberts helped establish the Interdisciplinary Toxicology Graduate Program. Since then he has helped create much of the toxicology curriculum at UF and served on 13 graduate committees in the past five years.